Here is some more TV Triva For You from TV Banter . The first installment appeared on this blog on June 14, 2012. DID YOU KNOW that a woman provides the voice of Bart Simpson? 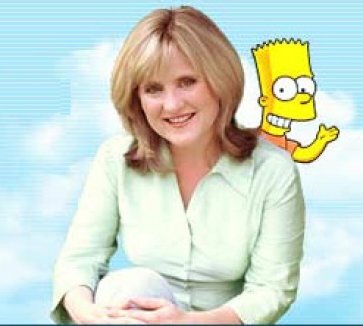 The woman in the photo above is Nancy Cartwright. For over 23 years, Nancy has voiced the character of Bart on The Simpsons. In 1987, she auditioned for a role on a series of animated shorts about a dysfunctional cartoon family on The Tracey Ullman Show. She had originally planned to try out for the part of Lisa Simpson but later requested an audition for the role of Lisa's brother Bart instead.because she felt that he was funnier and more interesting. Simpons creator Matt Groening hired her. In 1989, The Simpsons was developed into its own half-hour prime time series on the Fox network. Cartwright continued with her portrayal of Bart Simpson. and The Simpsons became an overwhelming hit. Now into its 24th season, it is the longest-running sitcom in the history of American television. Since none of the Simpson characters ages, however, Bart will never grow up. He a is a perennial ten-year-old boy who has a penchant for causing trouble. In addition to bratty Bart, Nancy Cartwright voices other characters on the show including Todd Flanders and Ralph Wiggum. a "producer, philanthropist, community leader, volunteer and author." She is also a devoted Scientologist and the mother of two children.from her marriage to crime writer Warren Murphy. She and Murphy married in 1988 and divorced in 2002. DID YOU KNOW that Ron Howard appeared in six episodes of the first season of Dennis the Menace from 1959 to 1960. Then billed as Ronny Howard, he played Stewart, a friend of Dennis Mitchell (Jay North). The six episodes were "The Fishing Trip" (1959), "Dennis Haunts a House" (1960), "Mr Wilson's Sister" (1960), "The Party Line" (1960) and "Dennis by Proxy" (1960). 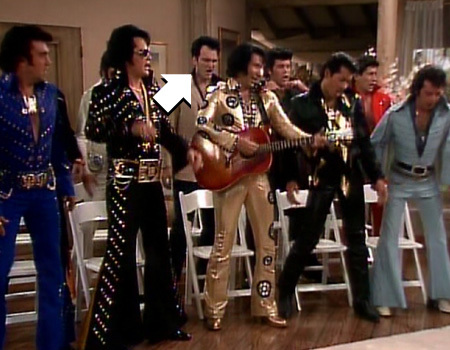 DID YOU KNOW that film director Quentin Tarantino had a guest spot as an Elvis impersonator on The Golden Girls back in 1988? Tarantino was only 25 years old when he appeared in Part One of an episode entitled "Sophia's Wedding" (Season 4, Episode 6, Air Date: November 19, 1988). It was just a walk-on part and he did not appear in Part Two of the episode. DID YOU KNOW that Vivian Vance, Lucille Ball's sidekick on I Love Lucy, portrayed the first divorced character on a weekly American television series? She played the part of Vivian Bagley, Lucy's friend and housemate. In 1962, when Lucille Ball was planning her return to television after I Love Lucy, she asked Vance to play a role on her new show. Vivian agreed provided the character was named "Vivian" and not "Ethel" as she was trying to avoid being typecast as "Ethel Mertz." On The Lucy Show, Vance took on the role of a divorced mother of a young son called Sherman. Lucille Ball played a widow named Lucy Carmichael who had two children, Chris and Jerry. The two women and their offspring shared a home in suburban Danfield, Connecticut. Below is a picture of Lucy and Vivian with their television children. 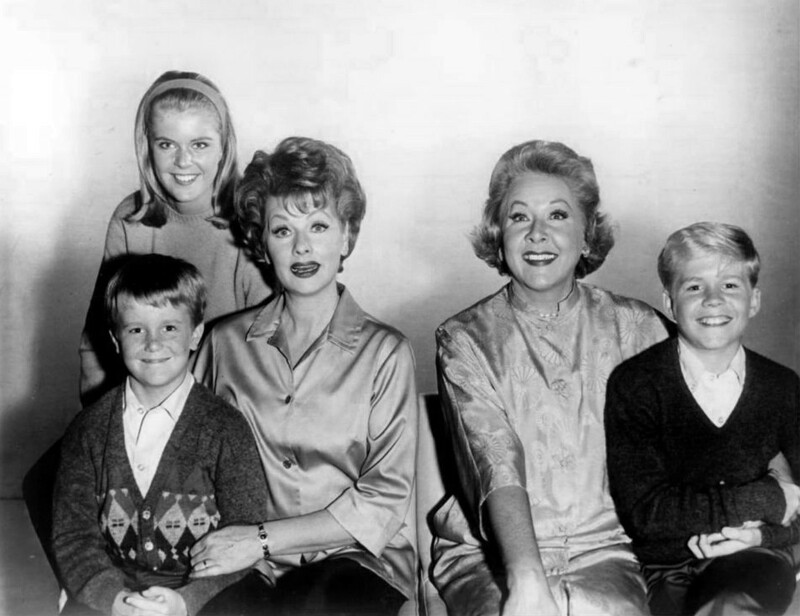 To the left of Lucy is Jimmy Garrett who played her son Jerry Carmichael and Candy Moore who played daughter Chris Carmichael. With Vivian is Ralph Hart who played her son Sherman Bagley. DID YOU KNOW that Angie Harmon is NOT related to Mark Harmon? Angela Michelle Harmon is a Texan, born in Dallas on August 10, 1972. Her father, Paul "Larry" Harmon, is a hospital information-network specialist in Dallas, is of English and Native American ancestry. He is in not related to actor Mark Harmon of NCIS fame. During the 1990s, Angie Harmon was a runway model for designers such as Calvin Klein, Giorgio Armani and Donna Karan. She appeared on the cover of magazines such as Elle and Cosmopolitan. She began her acting career after speaking to David Hasselhoff on a plane fight in 1995. Her meeting with Hasselhoff resulted in her role as Ryan McBride on Baywatch and Baywatch Nights. The 40-year-old actress is currently stars as Detective Jane Rizzoli on the TNT crme/drama series Rizzoli and Isles. She is married to former NFL player Jason Sehorn. Sehorn played for the New York Giants from 1994 to 2002. In 2003, he was a member of the St. Louis Rams. He proposed to Harmon on The Tonight Show with Jay Leno before a live studio audience and millions of television viewers. They wed in 2001 and are the parents of three daughters: Finley Faith (born 2003), Avery Grace (born 2005) and Emery Hope (born 2008).